The initiative aims to improve the quality of life and accessibility to all sustainable modes of transport for everyone living and working in the Sandyford Business District. Sandyford Smarter Travel is designed to support the Sandyford Business District through partnership and co-operation between Dun Laoghaire Rathdown County Council, businesses throughout the district and people travelling to and from the wider area as they go about their work and daily lives. The initiative concentrates on the promotion of healthier travel choices for individuals, mobility management planning by businesses for their staff and the establishment of a Mobility Management Planning Network between companies in the Sandyford Business District, together with the County Council and transport authorities and providers. This programme is additional to the infrastructural improvements which have been implemented over the past decade and which will continue to be implemented in the years ahead for the benefit of everyone using the Sandyford Business District. Of course it can take some time to see benefits, but benefits are being seen for the area and everyone wants to see this continuing for the future. Smarter Travel doesn’t happen to people. It’s something everyone does collectively for themselves, helped by transport initiatives and area wide planning. The idea of smarter travel and the increasing use of more sustainable transport modes by everyone in society forms a long term government policy to help people to leave their cars at home when they can, opting instead to walk or cycle, particularly for short journeys, or switch to public transport (bus, rail, tram) for at least some journeys every week. Everyone needs to use the car sometimes, for most others there are choices and even small individual changes can make a big difference. If everyone in the Greater Dublin area left their car behind for at least one trip each week, that would be 200,000 fewer car trips every day, less traffic, less congestion and less pollution, not to mention reduced fuel and running costs for car users. 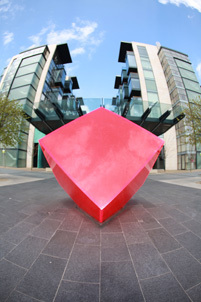 The Sandyford Business District is a key developing economic area in the Dún Laoghaire- Rathdown County Council area. It includes these separate business estates and sites – Stillorgan Industrial Estate, Sandyford Business Estate, Central Park, South County Business Park, Legionaries of Christ and Leopardstown Park Hospital. Significant additional development is planned for the Sandyford Business District in the coming years as outlined in the Sandyford Urban Framework Plan. This will result in an increase in traffic which will further impact on the high level of congestion on some roads approaching the area. The vision for the Sandyford Smarter Travel project is to develop a sustainable urban community with a strong sense of identity providing better quality of life to the people who live and work in the area, ensuring that development occurs at a pace where it is supported by sustainable transport choices. The project aims to provide for the transport needs of those living and working in the area through an overall package of measures aimed at achieving lasting behaviour change, reducing travel demand and the provision of new infrastructure. It will focus on improving everyone’s journey to and from work and will provide a platform to address transportation issues in the area. To improve the quality of life and accessibility to all sustainable modes of transport for everyone living and working in the Sandyford Business District. To create a walking and cycling culture in the area. To improve the economic competitiveness of the area by maximising efficiency in the local transport network for the Sandyford Business District. 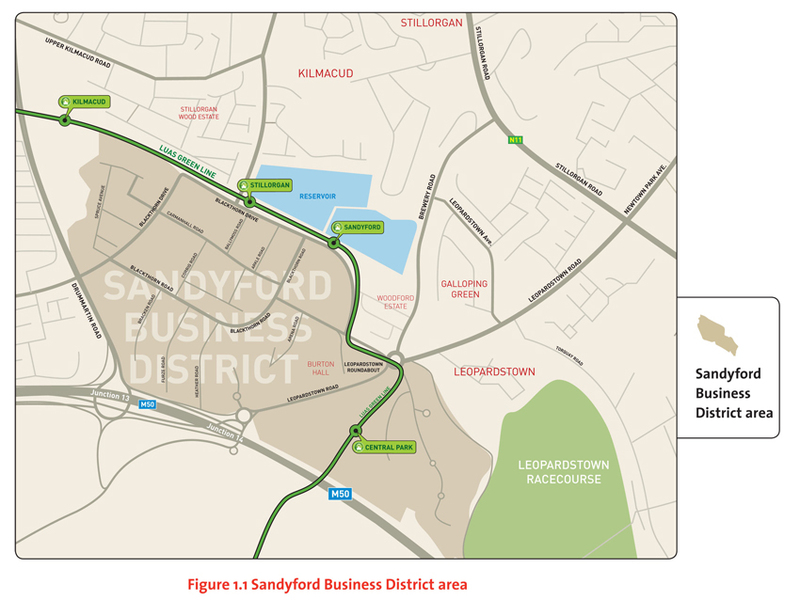 To minimise the negative impacts of transport in the Sandyford Business District. To reduce overall travel demand and distances travelled by private car to and from the Sandyford Business District. To improve the health and wellbeing of people living and working in the Sandyford Business District. To improve air quality and reduce carbon emissions in the Sandyford Business District. 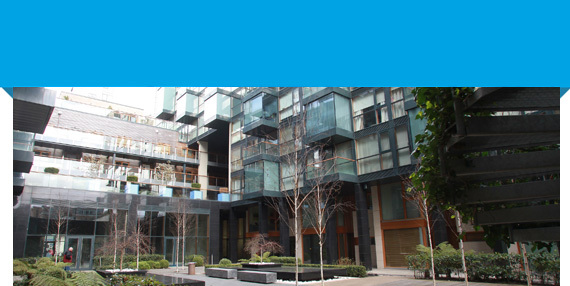 To contribute to the economic growth of the Sandyford Business District.